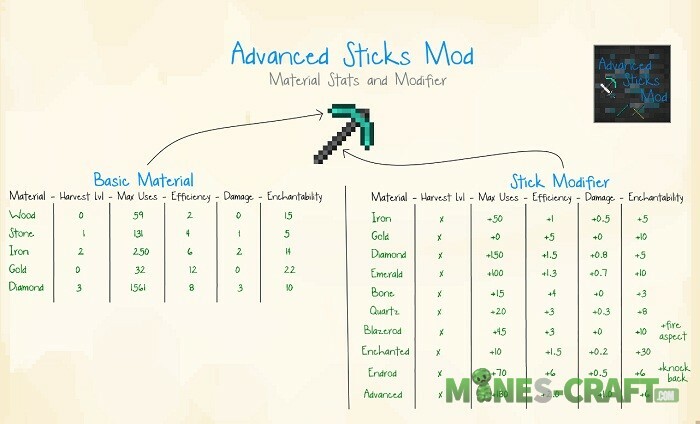 By modifying items with new sticks, you can achieve better results in resource extraction, battles, movement, construction and other occupations. 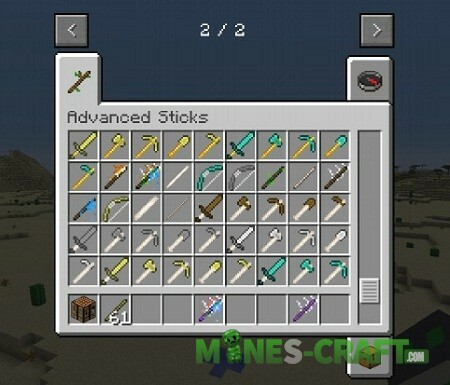 Advanced Sticks is a set of unusual sticks that can be added to vanilla items that improves their characteristics. 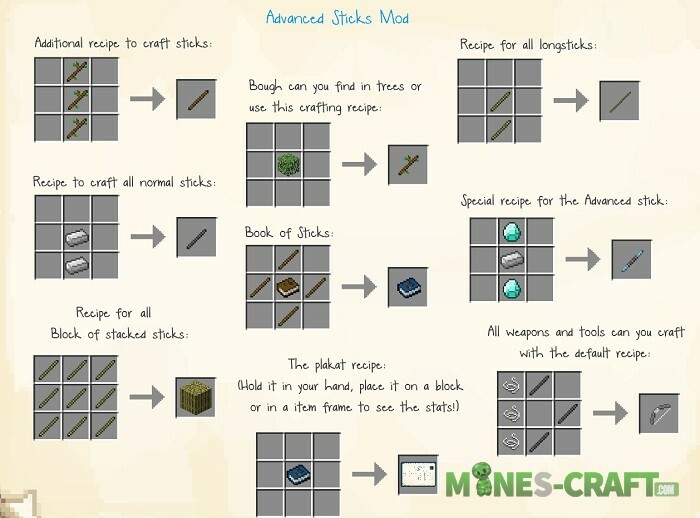 It does not spoil the original mode and does not give much advantage, but anyway the Advanced Sticks Mod helps you in some complicated cases. Craft initial sticks using recipes and combine them with other things. Minecraft 1.7.10 is not supported, playing is only possible on Minecraft 1.11.2 and later version 1.12.2.